Emily is a mom of 3 who owns a Toyota 4Runner. Her boys are very active in sports and she loves that her 4Runner is able to carry everything they need to and from all their activities. She owned her 4Runner for 2.5 years before finally taking the plunge and lifting it. Her lift was 4 inches and she increased her tire size by 1 inch. Have you ever wondered what it’s like to drive or own a lifted truck or SUV? 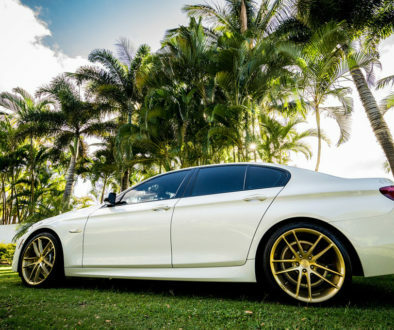 Do you secretly wish your ride looked a little more aggressive? Today we’re going to hear Emily’s (E) and Kupono’s (K) perspective. 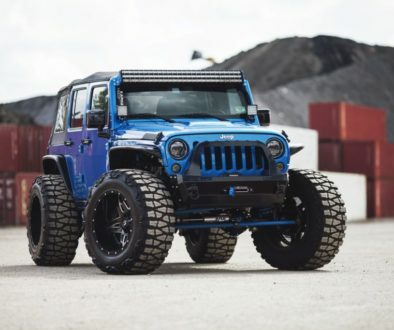 What made you want to lift your vehicle? 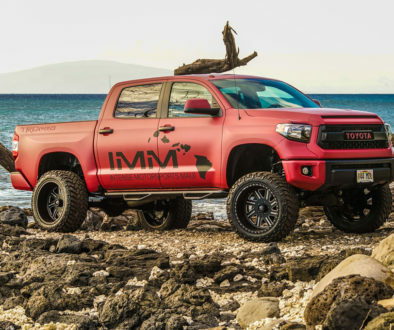 E: Overall, I like the look of a lifted vehicle and being able to personalize my 4Runner since it is such a common vehicle in Maui. K: In Hawaii, we occasionally have severe tropical rain and flooding. Having the extra height and grip gives me the confidence to drive through flood-prone areas safely. I also like to surf, dive, camp, and mountain bike in remote locations around the island. Most of these spots are only accessible by 4wd through sand, mud or lava rock. Being lifted gives me extra clearance and traction to get to and from my adventures with ease. Did lifting your vehicle change any driving characteristics? 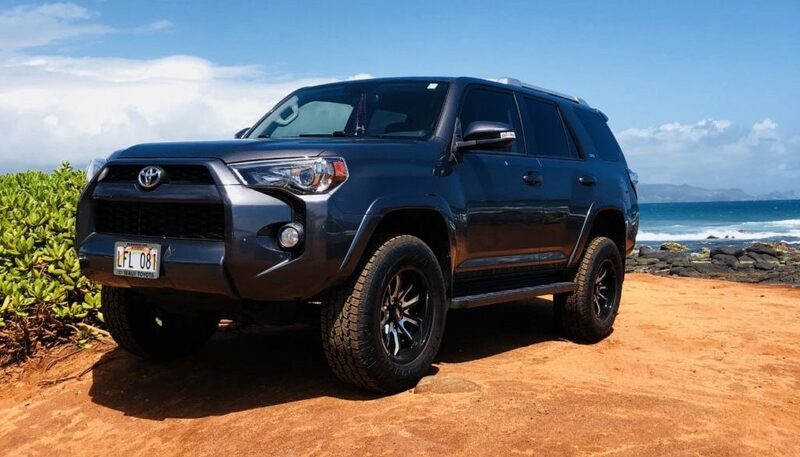 E: Handling did not change and I feel like the 4Runner is one of the easiest SUV’s to drive. The turning radius is on point and I’ve been able to make surprisingly tight turns. Parking is very easy. K: There was a slight change in handling. The overall ride felt a bit stiffer. I also had to slow down a little while taking turns at higher speeds due to the higher center of gravity. After a driving your lifted vehicle for over a year, what do you like about your ride? E: My 4Runner drives so well, it looks great and it’s low maintenance. It also can fit all the boys, their friends and all the necessary gear they need for their activities. K: I enjoy how my Truck looks way better than stock. Do you feel safer driving a lifted vehicle? E: I feel very safe. Sitting higher than stock height, I have better visibility to see potential danger. This is important to me because visibility on the driver side is not the greatest compared to other vehicles I’ve owned. K: I feel safer knowing that whatever obstacle or situation i face, I’ll be able to return home safely. Anything you would do different? E: I would have gone a little higher on the lift and a little beefier tires. When I buy my next set of tires, they will be bigger. K: Don’t go too big. I say 6” lift is a good safe height that doesn’t compromise drivability. I would also stay away from really wide tires. How is the vehicle with kids? E: The kids love it! We have an awesome family vehicle with style! K: I don’t have kids yet, but I think I would feel more confident driving a bigger truck/SUV on the road carrying my family than a regular sized vehicle. Let us know if you can relate to these interviews. How would you answer some of these questions?